Stag/Hen/Bachelor Party are not allowed. The following group types are not accepted by this hostel: Holiday with Friends, High / Secondary School, College / University, Stag/Hen/Bachelor Party, Sports Group If you have misrepresented the type of group you are booking for, your booking may be cancelled by the hostel." 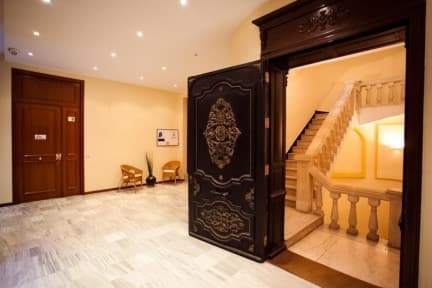 Cosy private apartment located at one of the most exciting spots of Barcelona, by Las Ramblas, the most popular street of the city, next to Plaza Reial, the Cathedral, the Gothic Quarter, Liceu Opera, and the sailing harbour. 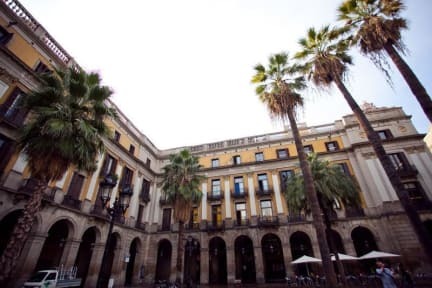 The apartment is newly refurbished, and has excellent views to las Ramblas or Plaza Reial and a fully equipped kitchen for private use to prepare your own meals (stoves, fridge, freezer, microwave, etc). There is one private bathroom, and a private living room with air conditioning. Some apartments also have a private big terrace with views to Las Ramblas. One apartment holds up to 6 people (2 double bedrooms, 2 bathrooms and 1 double sofa bed in the livingroom). The apartment is located by Bacardi Palace, with one small private street called Passatge Bacardi with your own keys. The room is newly furnished with one big king's bed. It is also possible to use the sofa as an extra kings bed in the livingroom for 2 other guests if requested. The apartment is excellent for one, two, three or up to 4 guests. 7% VAT is included in the final balance, linen and towels upon arrival are included. Cleaning upon departure is not included and has a cost of 30 EUR to be paid upon arrival, before we give you the keys. There is an extra fee of 15 euros for late night arrivals after 23.00 to the apartment.Check in starts at 14:30 pm, but you can come o leave your bags in our office from 10 am. Cleaning upon departure is not included and has an extra 30 EUR charge.